Why not arrange your conference in these unique and stunning surroundings? 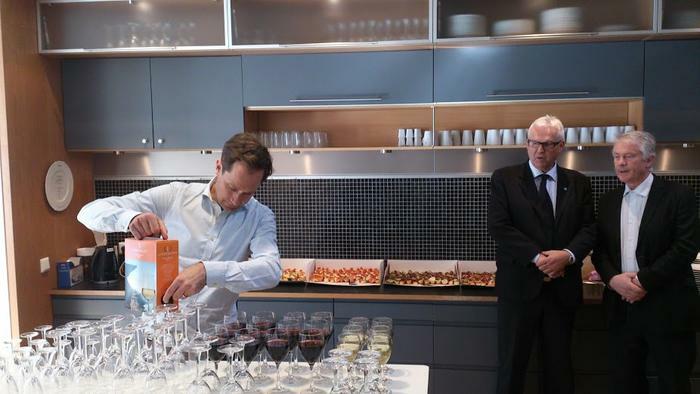 Our conference center is based on a long and fruitful cooperation with Statkraft, Europe’s largest company of renewable energy, and Tyssedal Hotell. 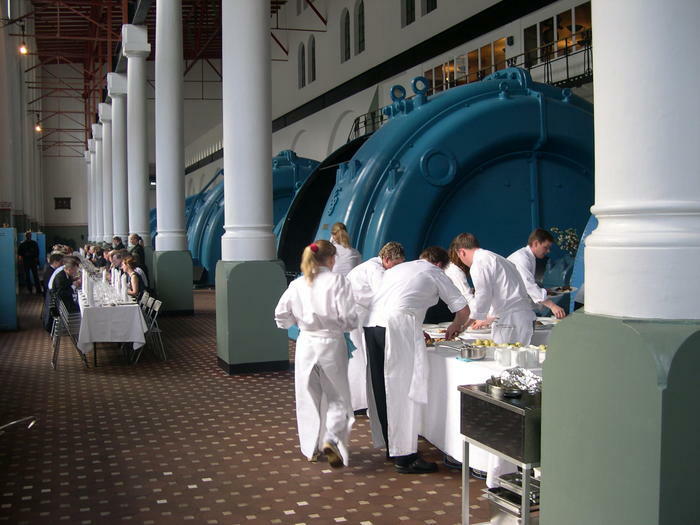 We have arranged international conferences, seminars and courses - from large banquets in the impressive power station to smaller events; meetings, kick offs and teambuilding. In Tyssedal you are in the middle of the industrial history of Norway. Surrounded by stunning scenery wich has provided the country its natural resource - water. It started at the beginning of the last century. Learn more about the pioneers with their visionary plans that laid the foundations of Norwegian prosperity. 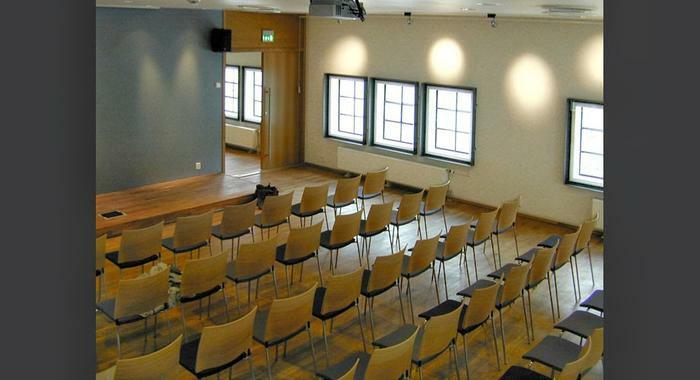 Take a stroll in Tyssedal, visit the museum and see the film ”The industrial Adventure”. 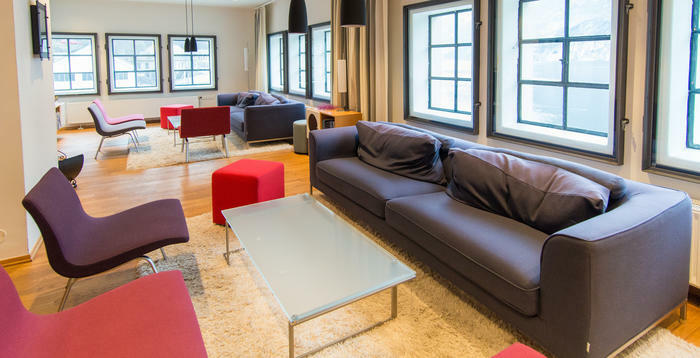 We offer modern and inspirating conference accomodations. All rooms have daylight, are comfortable and airy. They are highly equipped with technical fascilities. Our staff will be available at all times. The living room area at the conference center. Small conference room for 12 persons. 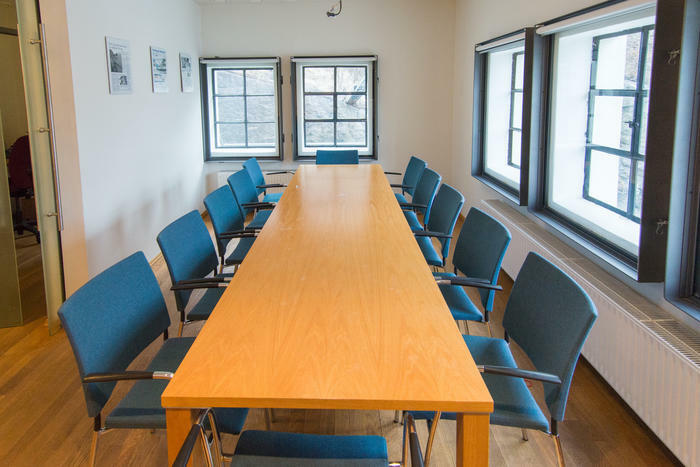 Large conference room for 60 persons. 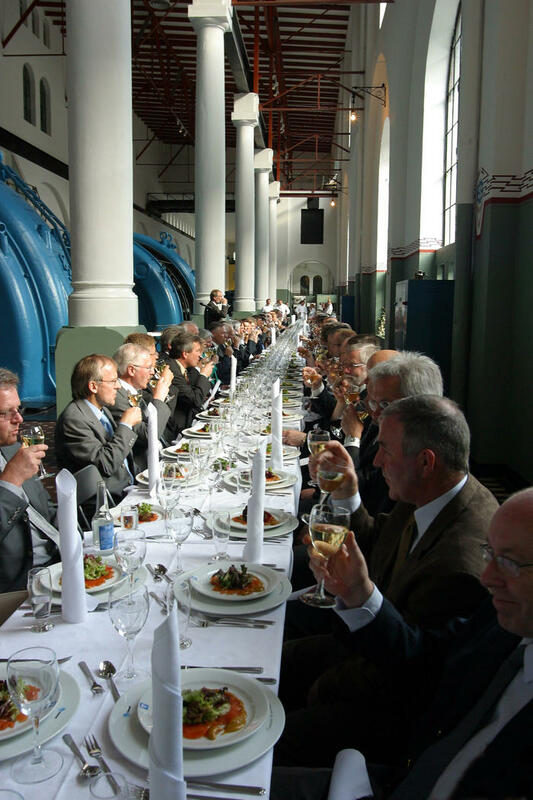 A banquet in the powerstation. If you want an extraordinary experience, just ask us! We have an an exciting and varied menu. How about a climb along the penstock, safely accompanied by climbing experts and gear from www.trolltunga-active.com or maybe you would prefer a hike in the footsteps of the ”navvy” - the old construction workers - following the trails up in the mountainside and into the old water tunnels? Welcome to Tyssedal. We are here to make your stay a success!